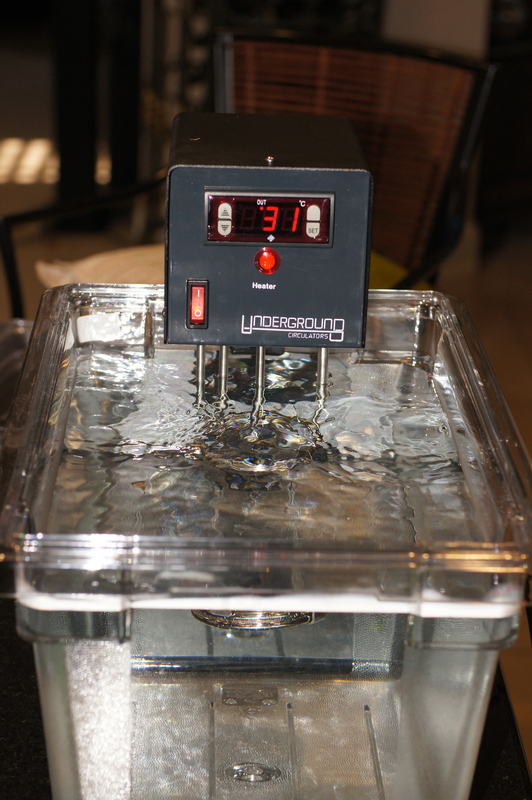 Sous Vide – Coming soon! 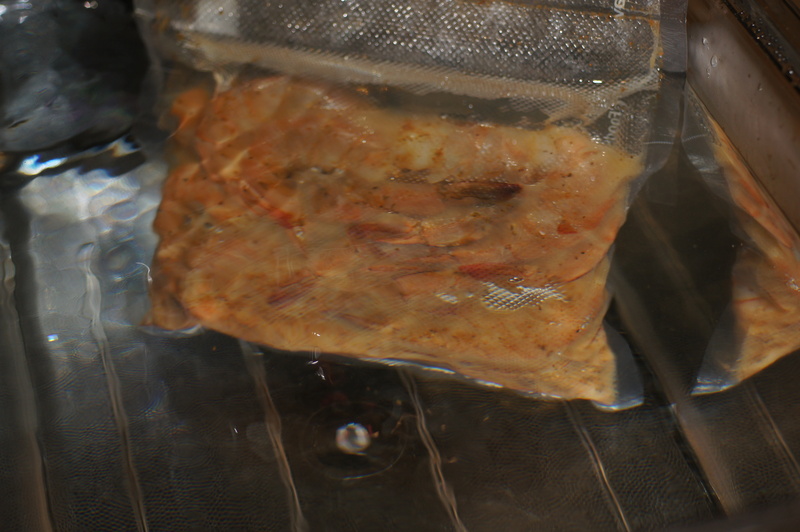 The technique of sous vide is vacuum sealing your protein with whatever seasoning you want and cooking it low and slow for hours upon hours. Some dishes even go for days. Being an incurable foodie and techie geek combined, I’ve read about it, watched food shows using it and have wondered about it. I make a killer slow poached lobster tail that is silky smooth like I never imagined. It’s slow poached at 150 F for 45 minutes but it was remarkably difficult to maintain a constant temperature. How would a sous vide machine improve upon this or would it? Today, I have some beautiful 5 pound octopus being delivered. I’m going to put it in the sous vide, slow cook it and grill it. I hope it turns out. Ooo, very exciting! I would love to try desserts, I’d never even thought of lemon curd sous vide style but now I’m imagining soft poached pears and much more. The lemon curd was great because you don’t have to worry about curdling the egg yolk. It came out perfectly cooked and smooth. 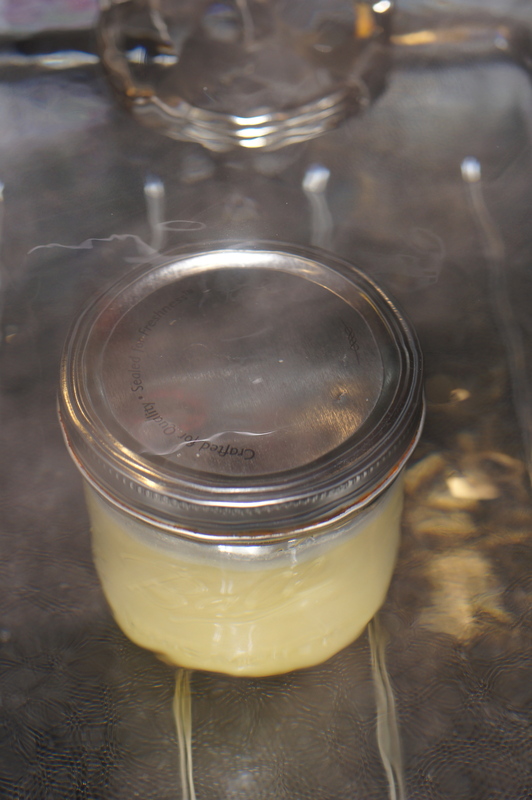 I’m going to try my ice cream custard sous vide, too. I think it will be a little thicker and creamier. Poached pears sound really good!